UQ’s Entrepreneur in Residence Ran Heimann explains why luring global tech companies is crucial to a successful innovation ecosystem. Entrepreneurial innovation is one of the most important factors driving global business, employment and economic growth. And, while we don’t know exactly what lies ahead, one thing is certain: companies, cities and economies that don’t embrace and adapt to the new economy will be left behind. Anyone familiar with global technology growth markets knows about Israel’s Startup Nation phenomenon. 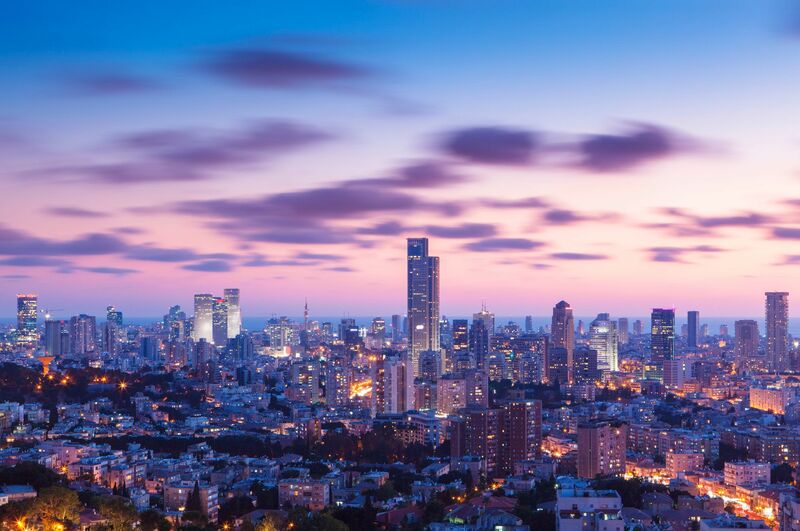 Despite its turbulent political landscape, Israel has established itself as an entrepreneurial market that punches well above its weight. But what makes this country of only 8 million people so effective at producing great technology and developing entrepreneurs who embrace rapid global growth? As someone who was born in Israel, and who has spent the past 20 years doing business in both Israel and Australia, I would like to offer my unique perspective. I became the Entrepreneur in Residence at UQ in December 2018, after industry connections recommended me for one of UQ’s flagship Ventures programs. As a mentor to early stage startup teams participating in the University’s ilab Accelerator, I find myself reflecting on my experience in Israel’s entrepreneurial ecosystem and asking the question: how can we bring some of that knowledge and experience to Australia? I co-founded a tech startup called Haystack in 2014, which was about the time Australian governments started promoting the Australian startup ecosystem. What you hear now about the importance of innovation, and the innovation economy, is what the Israeli government has been promoting since the mid-1990s. The key difference between Israel and Australia is land. Israel doesn’t have a lot of it, and half of the land it does have is desert. It is also one of the only countries in the Middle East with no oil reserves – which means that agriculture, oil, gas and resources are not a good source of wealth. This meant the Israeli government had to act early – or at least much earlier than other western countries. Building a successful ecosystem is like putting a jigsaw puzzle together. Each piece – government, universities, research and development (R&D) expenditure, global tech companies, funding and talent – is important to making the bigger picture robust, complete and effective. I’ve seen the benefits of building a successful innovation economy, and I’m excited to do my part in helping Australia’s ecosystem develop. The positive for Australia is that in the mid-&apos;90s everyone was shooting in the dark. But now, being able to analyse the successful ecosystems around the world, Australia can make progress quickly and catch up to the very best. Fortunately for Australia, we’re quite strong already on some of the key puzzle pieces. Foremost, we have universities – like UQ – that are among the best in the world, and we are blessed with top human talent. "To build a resilient innovation economy that stands for generations, we need to build the pathway for truly world-changing companies in the coming years." Australia should therefore focus its efforts on the missing pieces, and I believe we are doing this. The availability of investment money to the sector has increased significantly over the past five years, all levels of government have introduced various initiatives to support the innovation economy, while the number of founders and startups in Australia has increased year on year. The one piece that seems to have been largely missed is the importance of attracting global tech companies to open substantial R&D centres in Australia. A key differentiating factor for Israel is the private sector’s unusually high spending on R&D, which more than doubles Australia’s spending rate. Israel hosts a large concentration of global tech companies who have opened significant R&D centres there. This happened due to Israeli government policies luring multinational corporations with promises of high-quality and affordable talent, combined with generous tax incentives. People tend to blame Australian governments for the low level of R&D investment. However, looking at data from the Organisation for Economic Cooperation and Development (OECD), Australian governments are spending a higher proportion of gross domestic product (GDP) on R&D than both the Israeli and the Swedish governments. Australian education institutions are spending similar proportions of GDP on R&D to Israeli education institutes. The big difference is in the private money invested in R&D by global technology companies. Intel, Microsoft, Google, Apple, Samsung, SAP and dozens more employ tens of thousands of scientists and engineers in Israel. They outspend both the government and universities when it comes to R&D. When great talent works on world-leading artificial intelligence at Google; new memory technology at Apple; or the future generation of computer chips, machine vision or driverless cars at Intel, they gain valuable knowledge at the very edge of human knowledge. And after working on these projects for five to 10 years, it is these people who leave the large companies to start their own tech startups. There is a big difference between building the next app and building the next device or technology to power future apps. To build a resilient innovation economy that stands for generations, we need to build the pathway for truly world-changing companies in the coming years. Australia has a lot to offer global tech companies and we should use it to lure these companies to think seriously about kickstarting their Australian R&D presence. We already have some of the best talent at comparatively affordable cost. This, combined with some of the most liveable cities, English-speaking multicultural environment and beautiful weather goes a long way in appealing to these companies and their employees. By adding specific government policies around special visas and programs targeting global tech companies – together with tax incentives – I believe Australia would be able to accelerate this process and create a solid foundation for a sustainable innovation ecosystem that would propel business, employment and economic growth for the next generation. My goal as UQ’s Entrepreneur in Residence is to help shape the next generation of UQ startup entrepreneurs to think big, act ethically, embrace healthy habits, network and help one another. Together, these are the building blocks Australia needs to create purposeful new ventures to make our world a better place. Visit the Ventures website to learn more about the entrepreneurial spirit at UQ. Ran Heimann is a ‘serial entrepreneur’, having founded various successful companies in Israel and Australia. Heimann co-founded the Haystack digital business card company in 2014, which boasts global clients including L’Oreal, Toyota, Pizza Hut, Keller Williams, EY and Vodafone. He is now using his 20 years of business experience to guide future innovators as UQ Ventures&apos; Entrepreneur in Residence.